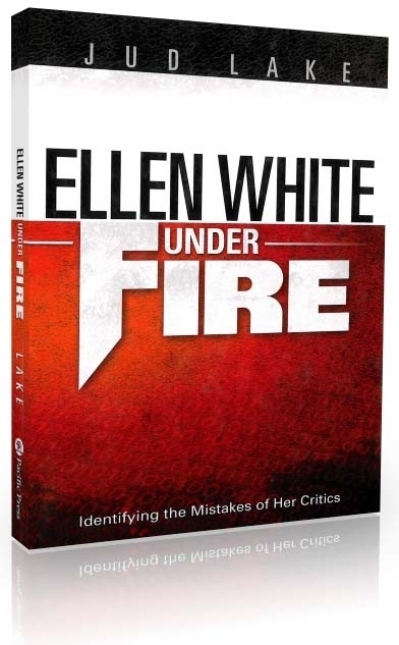 Summary: The following article is excerpted from several chapters of the book Ellen White Under Fire by Jud Lake. Never before have criticisms of the Seventh-day Adventist church been more accessible to the average church member and the general public. Scores of Web sites and blogs denouncing the church and its doctrines are available at the simple click of a mouse. From bizarre personal attacks to more sophisticated criticisms, opponents of the Seventh-day Adventist Church relentlessly pound its teachings on the World Wide Web. It’s no exaggeration to say that the war on Adventism is a global war. The major target of all this criticism is Ellen White. Because of her claim to the prophetic office and her foundational role in the development of the Seventh-day Adventist Church and its teachings, she has become a lightning rod, her credibility as a prophet the target of most strikes on Adventist theology. Present, http://www.ellenwhiteexposed. com, is the most extensive Web site devoted exclusively to discrediting Ellen White. On the main page one will find a list of “Article Collections,” with such links as “Plagiarism,” “Visions Examined,” “Myths,” “Shocking Quotes,” “Ellen White versus the Bible,” “Health,” “Confusion,” “The Shut Door,” “1844 Movement,” and “Contradictions.” Each of these sections, in turn, contains numerous links to many pages of text criticizing Ellen White’s prophetic ministry. Books targeting Ellen White are also easily available on the Internet. Salient examples are White Out: An Investigation of Ellen G. White; More Than a Profit, Less Than a Prophet; Prophet or Pretender; The Fake Controversy; and White Washed: Uncovering the Myths of Ellen G. White. Several older books are still available, such as The White Lie and The Life of Mrs. E.G. White, Seventh-day Adventist Prophet: Her False Claims Refuted. Unquestionably, this negative campaign against Ellen White is hurting her credibility. I have organized the contemporary criticisms of Ellen White into twelve basic categories that summarize the main charges against her prophetic minsitry. At the end of each category, the reader will find an Internet source that provides an Adventist response to the specific charges. 1. Ellen White plagiarized most of her writings. This is the most pervasive charge against Ellen White. She allegedly copied up to 90 percent of her writings from others and claimed she received the information in visions from God. 2. In her early ministry, Ellen White taught the shut door theory. This criticism receives a great amount of attention on the various Web sites and in books. The “shut door” is a term used to describe the belief that the door of human probation was closed to the world following the October 22, 1844, disappointment.... Along with plagiarism, the shut-door charge is a major emphasis for Ellen White’s criticism. 4. Ellen White contradicted herself in both what she taught and what she did. It is claimed that she condemned eating meat while still eating meat; she condemned unclean meats while still eating them; she condemned vinegar but was addicted to it, etc. 5. Ellen White misunderstood the gospel. According to this charge, the fact that Ellen White said that Christians should never say “I am saved,” shows she believed that Christians can’t have assurance of salvation. She allegedly taught a “faith in Christ plus good works equals salvation” theology that is contrary to the gospel. 7. Ellen White derived all of her health insights from contemporary health reformers. Critics claim she derived all her health teachings from human sources rather than from God. Ronald L. Numbers’s book, Prophetess of Health: A Study of Ellen White, is a major source for this charge. 11. Ellen White made some “strange” statements. For example, she allegedly said that tall people live on Jupiter, Satan has better success with women than with men, wigs cause insanity, and God doesn’t love children who misbehave. 12. Church leaders have covered up Ellen White’s mistakes and failures. This suppression, according to some critics, is one of the greatest cover-ups in the history of the Christian church. Today many critics of Ellen White are sprinkled across the landscape. Nevertheless, whether recognized or not, the influence of D.M. Canright, the father of Ellen White criticisms, lies behind each personal campaign against her ministry. Two well-known contemporary critics of Ellen White who follow in the tradition of D.M. Canright are Dirk Anderson and Dale Ratzlaff. Both of them recycle Canright’s old charges and point to his writings as a factor in their decision to leave Adventism. Dudley Marvin Canright was born September 22, 1840, in Kinderhook, Michigan, the third child of seven born to Hiram and Loretta Canright. He was baptized into the Methodist Church at age sixteen; and in 1859, at age nineteen, was converted to Seventh-day Adventism through the preaching of James White. He listened to the preaching, devoured Adventist books, and studied his Bible day and night. He longed to convert others to his newfound faith. His mother was his first convert. Canright felt called to the ministry and at age twenty-one traveled to Battle Creek to talk with James White, who encouraged him to try it out. Canright experienced success from the beginning. The Review and Herald reported the fruitfulness of his ministry during these early years. After holding meetings in Vassar, Michigan, with Elder Isaac Van Horn in July 1864, Canright wrote in the Review and Herald, “Present truth looks clearer and more beautiful to us the more we study it. Praise the Lord for a religion that agrees with the Bible, common sense, and the wants of men.” He was ordained to the gospel ministry on May 29, 1965. J.N. Loughborough and James White conducted the service. ... Within a short time, Canright became one of the most forceful and successful preachers of the Seventh-day Adventist message. Ellen White obviously played a central role in Canright’s feelings about the Seventh-day Adventist church. While he expressed doubts about Adventist teaching, his relationship to her seemed to be the deciding factor in how he related to Adventism as a whole. In 1884, he experienced a reconversion experience and returned to the ministry for the next two years, more ardent than before. Things went fine until the General Conference sessions of 1886. This meeting changed his relationship to Seventh-day Adventism forever.